If you’re anything like me, it may feel like you’ve been waiting 18 years for Rapunzel to return in the first-ever stage adaptation of her adventure story, so I thought I’d share some “by the numbers” trivia to hold you over until the show debuts. So grab your frying pan, put on your best smolder and impress your friends with some fun facts about this spectacular stage production … And keep your eyes on the Disney Parks Blog for a first look at the show on November 11. During the “I See the Light” lake scene, audiences will be fully immersed in the moment as magical projections animate countless floating lanterns and 17 physical lanterns float above the aisles for added effect. Tony Award-winning costume designer Paloma Young developed 125 costumes using more than 200 different types of fabrics, including one custom fabric created just for this show. The dazzling costumes are made complete with 85 pairs of shoes and 60 wigs. Audiences will be swept up in the adventure through 15 scenes and seven locations. 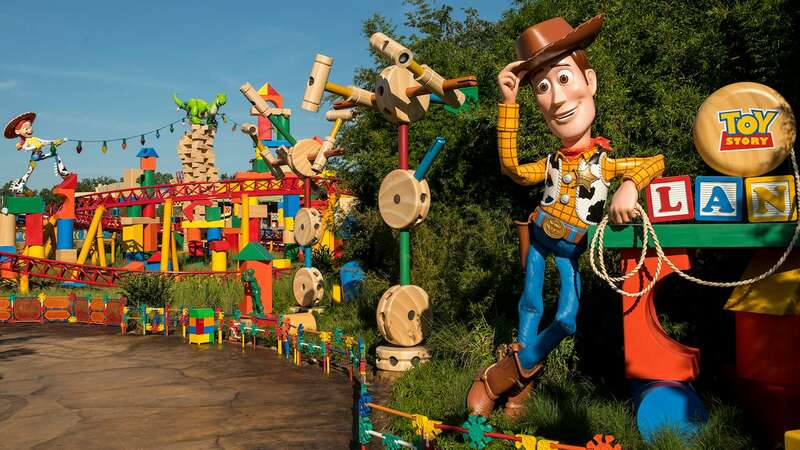 These include the 15-foot-tall tower, which features more than 20 glowing flowers hidden in a mural design, and the Snuggly Duckling pub, where nine lovable thugs await. More than 40 scenic elements bring these fairytale locales to life. It takes 47 talented performers and technicians to put on this elaborate production. And it wouldn’t be Rapunzel’s story without plenty of long, blond hair—nearly 200 feet of it! 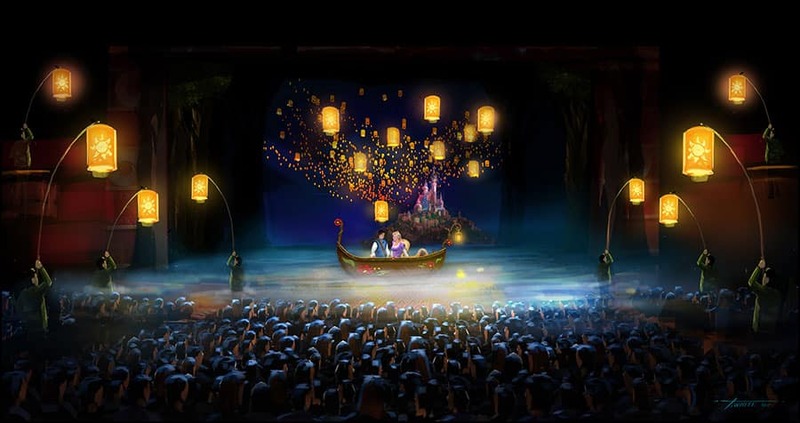 How long will Tangled: The Musical be on the Disney Magic? Or could it expand onto other ships? We are hoping to go on a March 2017 cruise and will book as soon as school calendars are released. If we’re not here to watch it live, will it be on the website somewhere to watch it later?